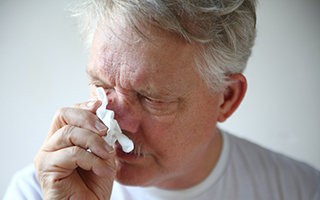 Are you constantly blowing your nose or suffer from a nose that seems to run all the time? I have many patients like that. They don't have allergies. They just have a constantly runny nose. There is a word for that. It's called rhinosinusitis. And though it is not all that serious, it's something that's very irritating. Through the years, I've learned a very simple thing that patients can do that in most cases will take care of this problem. And studies have confirmed how effective the treatment is. One study in particular has shown how to improve the treatment even more. Researchers divided 42 men and women with chronic rhinosinusitis into two groups. One half of them irrigated their nasal cavities using a salt solution. The other half did the same thing with a solution of Dead Sea salts. Both solutions were hypertonic. That means that the salt solutions were concentrated. At the end of one month of treatment, the researchers used history and examinations to determine the results. Here's what they found. Both groups had similar symptoms and examination scores before treatment. And both groups had a significant improvement in their symptoms at the end of the 30 days. 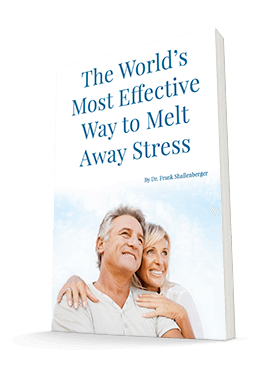 But the Dead Sea salt group had a greater relief of symptoms than the regular salt group. And the Dead Sea group was the only one that had a significant improvement in the examination scores. According to the authors of the study, "We present a short-term study providing level I evidence on the superiority of Dead Sea Salt over saline nasal irrigation for treatment of chronic rhinosinusitis." Like the findings in this study, I have seen many cases of chronic rhinosinusitis resolve nicely with regular nasal irrigations. But I have been using a salt solution only. Now I am going to recommend to my patients that they use Dead Sea salt for an even better result. Here's how you do it. First, go to amazon.com and buy a SinuPulse Nasal Irrigator. Then, also from amazon.com, buy a package of Dead Sea salt. I recommend the San Francisco Salt Company brand. Prepare the solution for irrigation by adding 2 level tsp of salt to 16 ounces of warm water. Then just follow the instructions on the irrigator. It is quick, easy, simple, and safe. Do it once a day and be patient. It might take several weeks before you notice a significant improvement. After the symptoms have decreased enough, continue the irrigations one to two times a week for maintenance. Friedman M, Vidyasagar R, Joseph N. A randomized, prospective, double-blind study on the efficacy of dead sea salt nasal irrigations. Laryngoscope. 2006 Jun;116(6):878-82.